The world has gone online, and you’ll not be surprised to hear that your website is now more important than any other of your marketing tools. For most people, search engines are the place to go when looking for a product or service, and your web page will be the first one to tell them about your business. Is your website telling the right story? 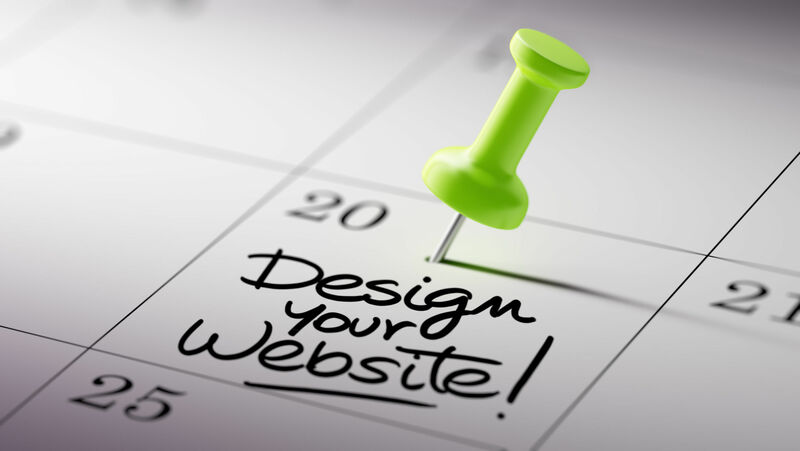 If you cannot remember when your website’s design was created, it probably isn’t. The way your website is designed is not just about the looks or fancy new design tricks (although these matter, too). It’s about functionality, usability, and converting effectiveness, and if your website doesn’t meet these goals, you are probably just losing sales. So, see your web page with fresh eyes, analyze its performance, and if you find any of these 7 signs – get ready for a revamp. Just like you don’t wear your old college T-shirt to a business meeting, you don’t want to drive visitors to a web page that looks 10 or 15 years old. To say nothing about the aesthetic value of a 2000ish website, it gives your audience the wrong message: your business doesn’t care much about its image, or the website has been neglected and the information it contains is not relevant any more. These days we are spoiled by superfast Internet connection and websites that load in a blink of an eye. Numerous surveys show that a majority of Internet users will just quit a website that takes more than 4 seconds to load. The same goes for other technical details: images that wouldn’t load, broken links, or other bugs are very annoying and are surely driving people away from your site. If your website is like the majority of others, it probably uses a content management system like WordPress and/or third-party components, such as shopping cart, downloads, or even contact form. When these get outdated, they cannot offer visitors the functionality and usability they expect and spoil the impression users get from your page. Perhaps your website looks fine and has no technical issues, but for some reason it just doesn’t reach its major goal: getting visitors to contact you or buy your products. Examine your visitors’ behavior in the web analytics reports and try to identify what the problem is. Is the structure too confusing? Are calls-to-action missing or are they not persuasive enough? Is your website overloaded with text that doesn’t get read? Your business evolves, and it’s natural that the website’s purpose will eventually change. For example, you start out as a software company and design a website that tells visitors about your business. But later you have some products ready, and your website’s goal is now to sell them actively. Naturally, you can’t reach that goal with the old website, so it’s time for a redesign. Stats show that around 20% of all web traffic in 2013 was from mobile devices. Mobile users want easy and pleasant experience when browsing web pages on their tablets and smartphones, so if your website still isn’t responsive – you are losing them. SEO is not just about cramming your copy with keywords or getting incoming links: the way your website is designed and structured matters as well. Websites created in earlier years may contain serious SEO mistakes like making the text non-indexable, or miss on important SEO features like cross-linking the pages, optimizing urls, and enriching the website with more content pages. If your old website is not search engine-friendly, a redesign with SEO in mind is the crucial first step to good rankings. Website redesign does take some time and costs, but the outcome is worth it. If your web page shows any of the signs above, it is begging for a revamp! Now, when did you last update your website design? Does it look like your page needs one? Feel free to comment below.